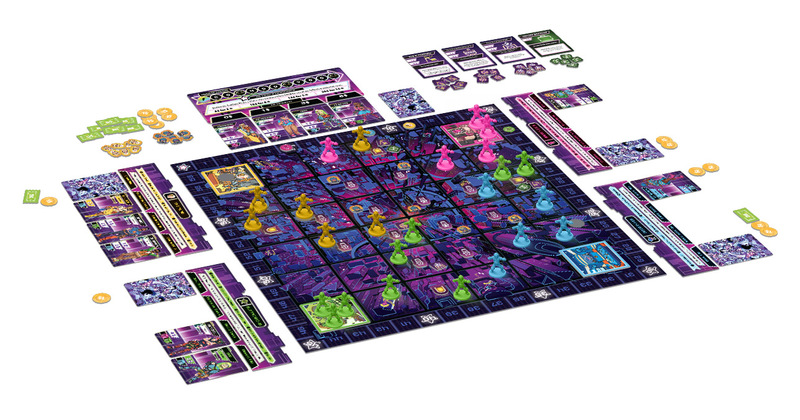 Plaid Hat Games is proud to announce Neon Gods, the strategy game of futuristic gang warfare set in the far future of, um, 2009. Neon Gods is a story of street gangs set in a kaleidoscopic near future inspired by sci-fi cinema of the 70s and 80s. Start your own (legitimate) businesses and watch them flourish. Recruit the finest disillusioned ne’er-do-wells to hold your territory, and purchase black market resources that’ll give you the edge. Be prepared to fight for what’s yours, because your opponents will muscle in on your territory. And don’t forget the cops, who clearly don’t have anything better to do than harass innocent business owners such as yourself. The world may not think much of you, but in the back alley glow of the neon night, you can be a god. 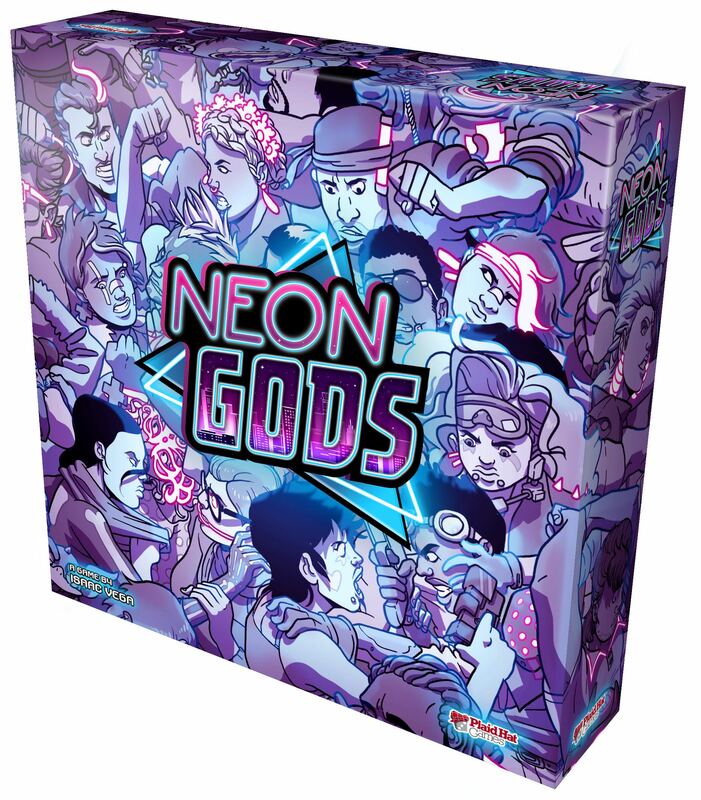 Neon Gods is available for preorder now, and will be arriving at retailers and our own web store later on this year. Additionally, we're planning to have a special preview sale at GenCon 2018, so be sure to stop by the Plaid Hat Games booth for demoes, overviews and your chance to get an early copy! The rules for Neon Gods can be found here.